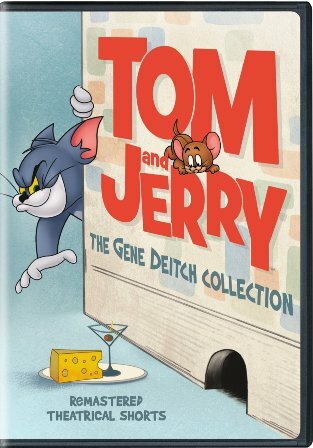 We’ve partnered with Warner Bros. Home Entertainment for a giveaway of the brand new DVD release, Tom and Jerry: The Gene Deitch Collection. Available June 16 for purchase (visit the WB Shop), this DVD includes 13 remastered Tom and Jerry shorts produced by famed animator Gene Deitch. Three lucky winners will receive this new DVD compilation. To enter for a chance to win one of three copies, answer the easy question in the Rafflecopter form below by June 16, 2015 (U.S. residents, 18+ only, no P.O. boxes). Three lucky winners will be drawn at random and notified via email. The winners will have 48 hours to respond to our notification with their complete name and U.S. mailing address (no PO Boxes). Failure to respond within 48 hours will result in forfeiture and another winner will be selected. For complete giveaway rules, Giveaway Rules and Restrictions. Astro Jetson is my favorite. I would have to say Pac-Man!